A tumbleweed blows across dry land, a reddish-brown first swirling around a deserted town long-forgotten after two dueling cowboys fought outside the local tavern. Late 1800s Texas—a setting unlike any other, and one that is enjoyed by many readers of Christian fiction. Just not myself…at least until now. I’ve never felt drawn to the 1800s Western genre like so many of my fellow readers are. This setting just did not appeal me; to be honest, imagining a story set in this time period still doesn’t make my heart beat in anticipation as it does when I find a new World War Two or Regency novel sitting on a shelf at Barnes and Noble. But before this month I had never read a Karen Witemeyer novel, and just as an unexpected dish can call us to new flavors or tastes, I have found that Witemeyer just might have made a Western fan of me yet after finishing A Worthy Pursuit. If the mark of a strong writer isn’t winning over fans to a new plot line or genre, I don’t know what else is. 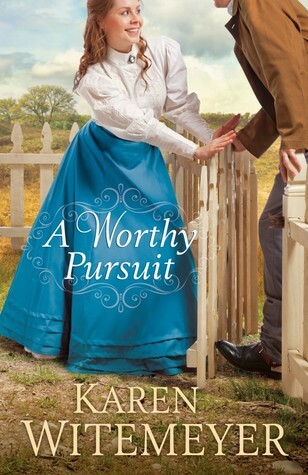 A Worthy Pursuit contains elements of what I expected of a Western novel, such as gun-fights, ranchers, and dialect reminiscent of language spoken in John Wayne movies; however, there was much more to this novel than I expected of one set in 1800s Texas, such as a deep character growth, family drama, and a romance based on faith and trust. The elements of a Western-set novel that I imagined I would not care for—those gun-fights, cowboys, and dialect so far from own Mid-Atlantic lilt—bothered me very little because Witemeyer is a wordsmith who uses the deeper elements of point-of-view, metaphor, relationships, and character development to develop her stories. Instead of mentally correcting Stone Hammond every time he left off his “g’s”, I focused more on his motivations and character as he carried off his bounty-hunting duties. Witemeyer knows writing: dialect should be used few and far between, and only to enhance the scene. I did not drown in Texan language, and that alone immersed me into the story and impressed me with Witemeyer’s writing skills. A Worthy Pursuit excelled in every level of what makes a great story: endearing and believable characters chase after dreams, battle insecurities and villains, and follow their faith through internal and external challenges. Charlotte and Stone—the heroine and hero, respectively—both grabbed my attention from the first few pages of the novel. 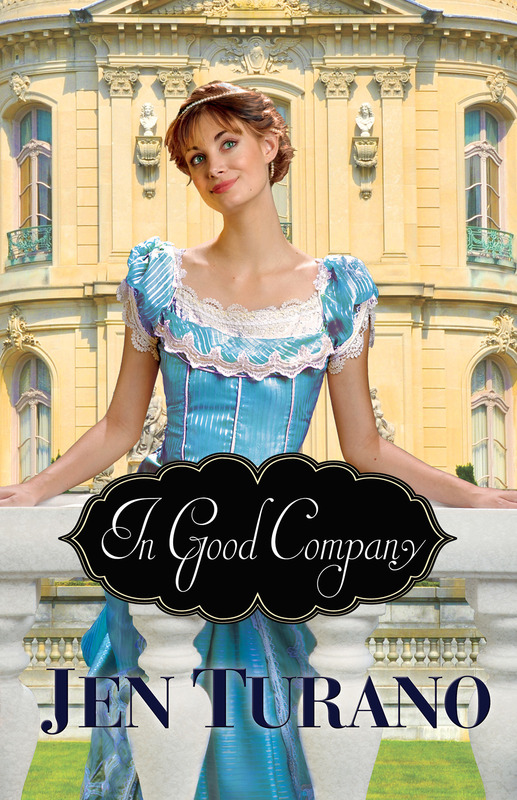 I thoroughly enjoyed Charlotte’s journey from nervous schoolmarm to a woman in love. Her mama-bear protectiveness of her three children drove the story, and Witemeyer’s choice of background for her heroine was unique, believable, and compelling. Much to my surprise, I also found myself rooting for Stone much sooner and deeper than I expected. This bounty hunter turned my head towards a profession I never thought I would cheer on—hero or otherwise. Witemeyer’s decision to make her hero and heroine older than what is usually found in fiction also struck me as exceptional. Not only did the ages enhance the believability of the story, the ages also serve to connect Witemeyer’s characters with readers who are not the typical blonde-haired, blue-eyed beautiful heroes and heroines usually found on the covers of fiction novels. From endearing children with unique capabilities to wizened and loving secondary characters, the cast of A Worthy Pursuit alone makes this novel worthwhile to read. A strong second to that statement—and one of my favorite aspects of the book—is the characters’ use of faith internally and with each other. Characters in A Worthy Pursuit frequently turn to their faith during times of joy and hardship. In internal dialog to themselves as they pray for peace and understanding, to discussions of God’s goodness when making decisions, Stone and Charlotte in particular demonstrate the daily conversations and prayers all Christians should emphasize in their daily lives. Certain books speak to us even before we have ever read a novel by a new author. 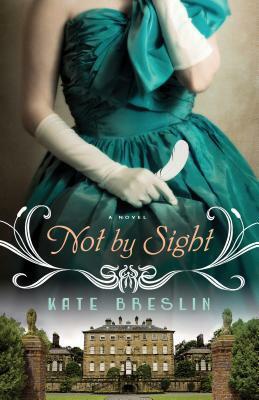 Kate Breslin’s Not By Sight was such a book for me; from it’s gorgeous cover depicting so many symbols and metaphors to come from the story, to the intriguing back-cover blurb hinting at what’s to come, I eagerly assigned myself this title to review. Not By Sight fulfilled my expectations plus many more—but then again, I knew this would happen because I met Breslin last year at the ACFW conference. From her charming personality to her kind smile—and the numerous awards she’s garnering for her first book—Not By Sight was bound to become a favorite of Christian fiction readers. I make no secret that within historical fiction my preferred time period is World War Two. This interest could undoubtedly bias any other historical fiction I choose to read; however, with my love for Downton Abbey—and its captivating storyline during World War One—I am becoming more and more interested in stories set during 1914-1918. Breslin’s superior storytelling in Not By Sight has cemented my curiosity for this time period. I absolutely loved learning about the Great War, the suffragette movement in England, and, of course, the continued battle of England’s aristocracy to reign supreme in a time of change. While I am a full-blown patriotic American, I also have a love for all-things British, which Not By Sight fully engages in throughout the entire story. Breslin shares glorious descriptions and details of the Kent countryside in which the main characters spend much of their time. It is unlikely I’ll visit Great Britain anytime soon, but in Not By Sight I felt as if I walked the vast estate and grounds right along with Grace and Lord Roxwood. I also thoroughly enjoyed learning British World War One history. The author many of the sentiments—both pro and against—the British people dealt with while watching and waiting for their sons to return from France. This time was so tumultuous for Great Britain, and Breslin skillfully weaves her pen to help her readers empathize with the British people. Not By Sight is a character-driven novel with arcs that demonstrate Breslin’s skills as a writer intuitively aware of people’s emotions and motivations. Out of the two main characters, I preferred Jack Benningham (Lord Roxwood) to Grace Mabry. I found the hero a much deeper character that I could relate to—one who truly has physical and emotional pain to work through; however, by the end of the novel I can definitively say that Grace is the character who develops and matures in a most satisfying way. Jack is a man’s man through the entire novel. He is brave, wounded, strong, handsome and tough emotionally and physically. I easily envisioned him and sympathized with him because Breslin created his character in a way that was believable and realistic. With Grace, however, I had a harder time believing in her actions. A daughter of the aristocracy, Grace is passionate about her country, women’s rights, and in supporting the war effort so her twin brother may return home from France. I enjoyed Grace’s character because her passion for supporting others, including those in classes below her own, was admirable. Grace is a sweet character with a good heart; however, her naiveté in the blind patriotism and suffragette movement that motivates many of her actions did not completely convince me in the development of Not By Sight’s storyline. This novel is one that is reminiscent of many classic pieces of literature, such as The Phantom of the Opera and The Scarlet Pimpernel, but the story that most often came to my mind while reading the story is Beauty and the Beast. For that reason alone—yes, I am staunch believer in any retelling of the Classics—I could easily recommend this novel. For all of the other reasons mentioned in this review—superb storytelling, captivating historical detail, and an imaginative plot—I not only recommend Not By Sight but wholly believe in re-reading Breslin’s sophomore novel. Florida-born author Kate Breslin lives in the Pacific Northwest with her husband and family and a very spoiled cat named Coco. 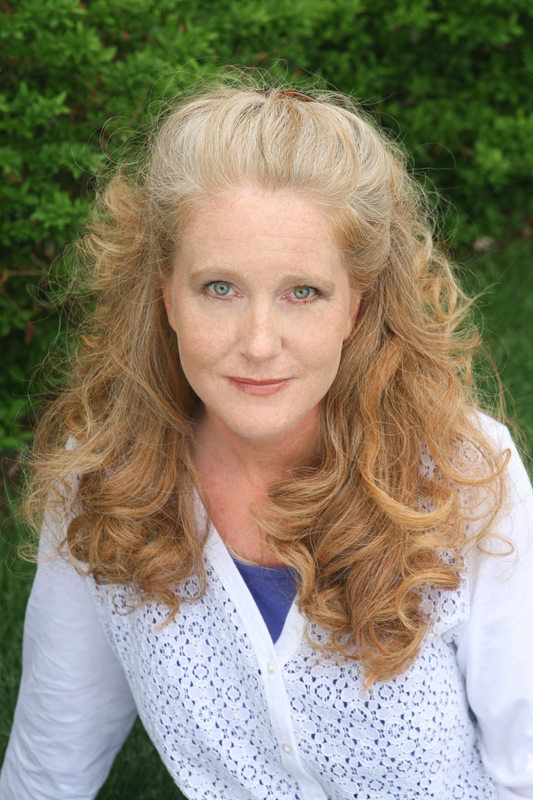 A former bookseller, Kate has also written for many years, including travel articles and award-winning poetry. Her debut novel, FOR SUCH A TIME, earned a starred review in The Library Journal and is both a Christy finalist and an RWA RITA award finalist. Her second book, NOT BY SIGHT, will release August 4, 2015. When she’s not writing, Kate loves to read or take long walks in Washington’s many beautiful forests. She also enjoys a bit of traveling—not only within the U. S. but to Rome, Greece, Turkey, and many parts of Western Europe. She’s always seeking new ideas for the next story! Please visit her website. She’d love to hear from you! 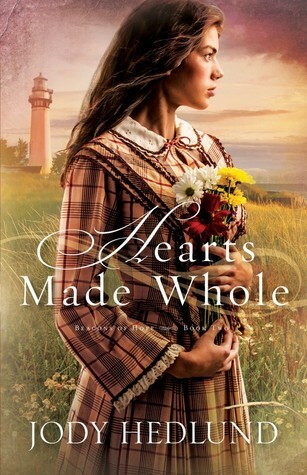 Hearts made whole—an appropriate title for a novel that, by the end of reading it, made me feel as if I had a renewed relationship with Christ. From its gorgeous cover to its deep storylines of faith, love, hope, and family, every aspect about Hearts Made Whole drives readers towards a fulfilling spiritual and emotional connection with God. Jody Hedlund, known for her rich historical dramas within the CBA, has crafted a novel that I predict will go on to win many awards in 2016. Readers who enjoy deep emotional novels set in times gone by will want to read Hearts Made Whole as soon as possible. I have long wanted to read Jody Hedlund’s novels because since I have been involved with the CBA industry I have heard all positive things about her writing. Earlier this year I had the pleasure of reviewing her first young adult novel—while I enjoyed An Uncertain Choice, I held such high expectations for her books that I felt a bit let down by this book. That response was purely a personal opinion of reading level and interest and of having too high expectations for a person whose is just that—a person, not perfect. Nevertheless, my interest in Hedlund’s adult novels remained high, and oh am I so glad I read Hearts Made Whole. This book is, in my opinion, just about perfect. In fact, it just might be my favorite book of the year (along with Pepper Basham’s The Thorn Bearer). I loved each and every scene, character, and setting in Hearts Made Whole. 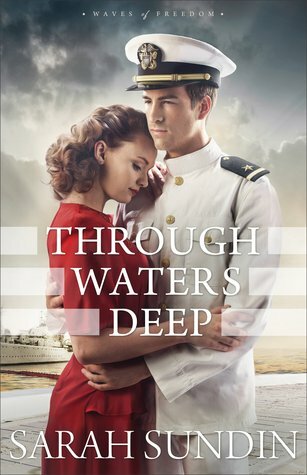 From learning about lighthouses along the Michigan waters, which I found fascinating; to experiencing the political strife over women’s rights in post-Civil-War Michigan; to family drama between siblings; to the romance between the main characters, every page drew me deeply into Hedlund’s story. In fact, this rich storytelling, which is what I yearned for in her young adult book, is just what makes Hearts Made Whole and Basham’s The Thorn Bearer my favorite novels of 2015. 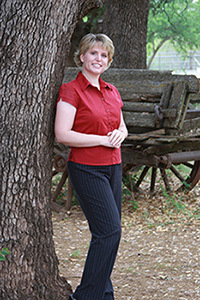 Hedlund writes stories that make adult readers truly consider the world around them; she doesn’t shy away from challenging situations, and she uses her stories to draw her readers closer to God through characters and scenes that teach readers that people from times gone by experienced incredibly difficult situations and still made it through with their faith intact. It should be a testament to how much I loved Hearts Made Whole that before I even finished the novel I ordered the rest of Hedlund’s novels. I’ve even pre-ordered her upcoming novel, Luther and Katharina, coming out in October of 2015. I cannot wait to read each of Hedlund’s novels—they’re beckoning me from upon my bookshelf, where I can see them in all their beautiful glory—but I plan to read the first book in her Beacons of Hope series, Love Unexpected, first, followed by her Carol Award winning novel, A Noble Groom. Another testament to my love of Hearts Made Whole is my new interest in lighthouses and Michigan history. My only wish now is that the third novel in Hedlund’s Beacons of Hope series, Undaunted Hope, could be published sooner than early 2016. 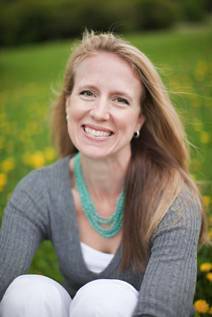 Jody Hedlund is the bestselling author of nine novels, including Captured By Love, Rebellious Heart, and A Noble Groom, winner of the 2014 Carol Award and INSPYs Award. 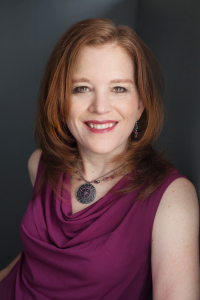 She received a bachelor’s from Taylor University and a master’s from University of Wisconsin, both in social work. Currently she makes her home in Midland, Michigan, with her husband and five busy children. Fresh off the success of the rest of the books about the Porter family, Becky Wade continues her series about the handsome and charming brothers in her third book of the Porter family series, A Love Like Ours. Starring the third youngest brother, Jake Porter, this novel centers on this wounded marine and his charismatic former-best-friend turned leading lady as they regain their lost friendship. A Love Like Ours is set amongst horse farming and racing—Jake as a trainer and Lyndie James as a rider. With the backdrop of training these beautiful creatures as a metaphor for the healing and redemption both Lyndie and Jake experience in this story, A Love Like Ours is an enjoyable contemporary romance sure to stir the hearts of readers familiar and new to Wade’s novels. While A Love Like Ours is the third book in the Porter family series, Lyndie and Jake star in this story. I have not yet read the first two books in the series, but I did not have any trouble connecting with the characters or following the story continuations brought in from Wade’s earlier novels. Jake and Lyndie are precisely what readers—especially females—want from a romance: the typical “Tall, Dark, and Brooding” as Wade so aptly nicknames her leading male, and the charming, beautiful, and optimistic female. Both of Wade’s characters performed exactly as needed for A Love Like Ours to progress; however, while I loved Jake Porter’s character and saw depth and growth through his character arc, I did not enjoy Lyndie’s character. As a former marine who saw battle, Jake struggles with PTSD and with trusting and healing following his return home. His challenges reflect his work on his horse farm and his relationships with others. Wade takes Jake on a personal reflective and redemptive journey through truly beautiful scenes both interpersonal and with other characters. I found Jake’s conversations, questions, and growth as believable and authentic. Jake’s journey made me want to go deeper into my own relationship with God, which is just what Christian fiction is supposed to do for readers. With Lyndie, though, I found myself wanting to put A Love Like Ours down for long periods of time. This leading lady came across, to me, as spoiled, stubborn, and argumentative. In addition, her reasoning for some of her choices seemed unrealistic for a character of her age, and her living situation—while desirable for anyone in Lyndie’s position—came across as fantastical. I found it hard to relate to Lyndie, so even though I thoroughly enjoyed Jake’s character and the other elements of the story, such as the romance and familial relationships, I could not wholly devote myself to this novel. 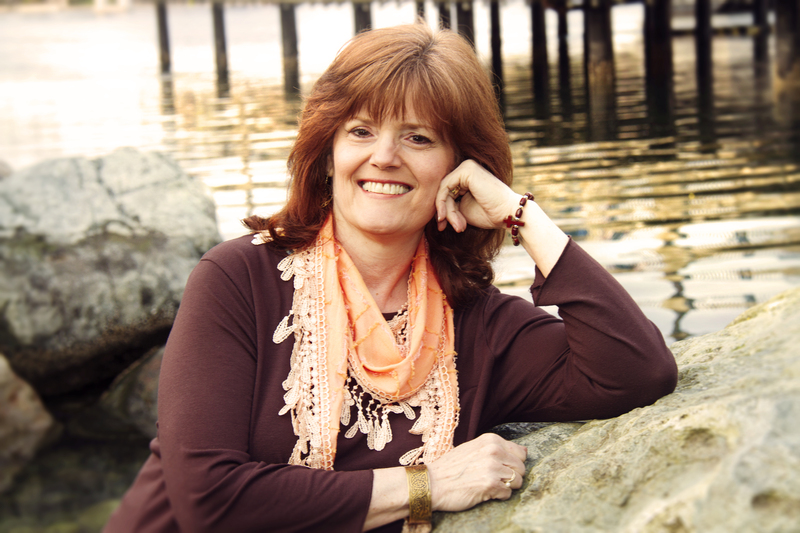 Becky Wade is a stand-out author of contemporary Christian fiction, and I will most definitely read the other books in her Porter family series, as well as anything else she writes for genre. I have high hopes for her first two books in the series, and I am looking forward to her upcoming–and final–Porter family book about the one-and-only girl of the siblings, Dru. 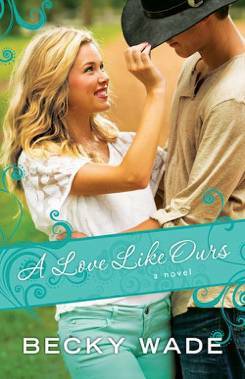 A Love Like Ours is not my favorite of her books, but it is still a wonderful and enjoyable novel that I rate highly for its romance and faith elements. P.S. For a review of my highly-rated favorite book of 2014, Becky Wade’s My Stubborn Heart read this review. Becky’s a California native who attended Baylor University, met and married a Texan, and settled in Dallas. She published historical romances for the general market before putting her career on hold for several years to care for her three children. When God called her back to writing, Becky knew He meant for her to turn her attention to Christian fiction. 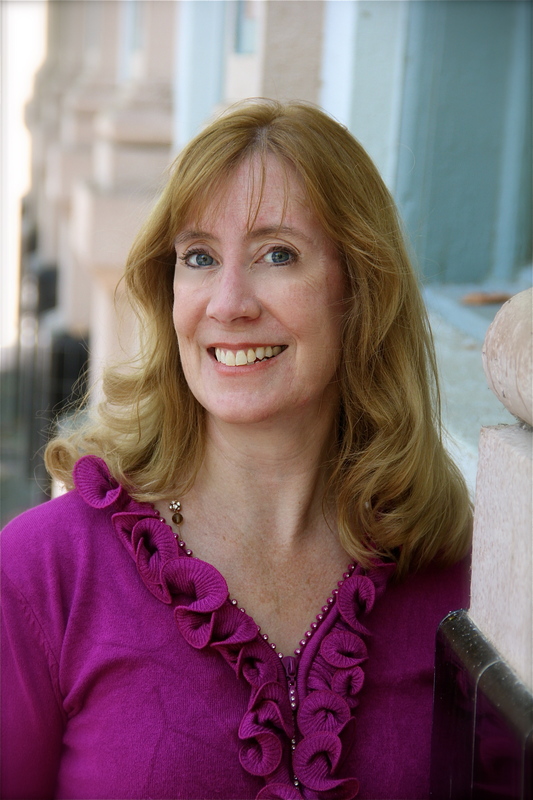 She loves writing funny, modern, and inspirational contemporary romance! She’s the Carol Award and Inspirational Reader’s Choice Award winning author of My Stubborn Heart, Undeniably Yours, Meant to Be Mine, and A Love Like Ours.